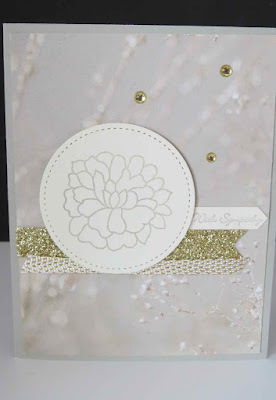 The Stampin'Up Falling In Love Product Suite is beautiful!!! You can make so many gorgeous cards!. 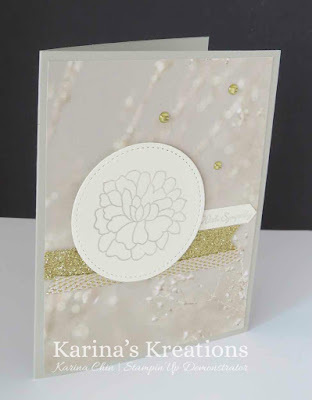 I made this elegant Sympathy card using the Falling In Love Designer Series paper and So in Love stamp set. The stamp set has coordinating Thinlit Dies. If you purchase the bundle for $62.00 you would get the 3/8" Metallic Sale-a-bration ribbon for FREE.